This is post is part of of our annual series of Editors Picks of the Year. No pay-for-play, no contests to enter, no voting. Just the things we’ve loved in 2014 that we think deserve an extra nod for coolness. 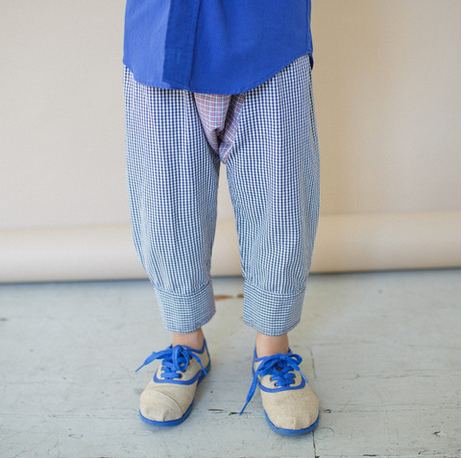 We first discovered the cute baby and little kids clothes from nununu a year ago, naming them a favorite in 2013. Well they’re still a favorite. Only they’re back here in 2014, with brand new nununu clothes for older boys and girls that expands their line all the way up to size 14. They’re just funky enough to be on trend, but not look costumey. 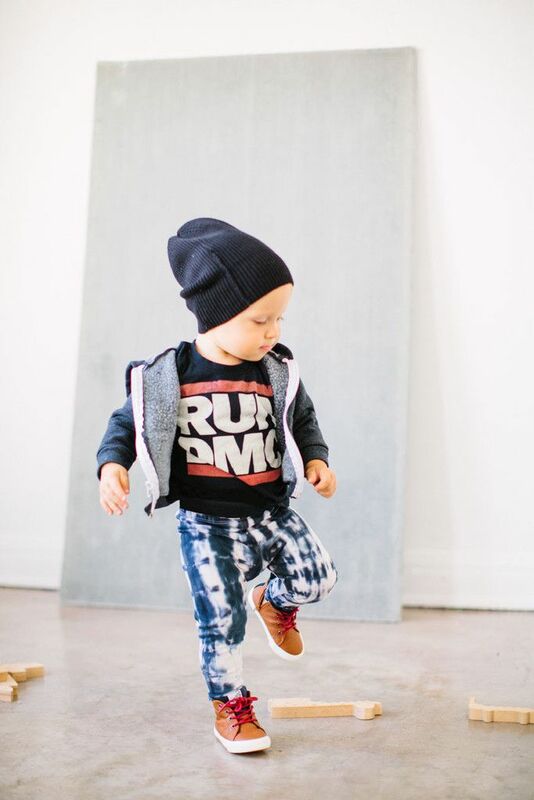 Trust us, kids look ridiculously cute in them. Tie-dye goes from hippie to hip with this cool handmade line of Chaboukie baby leggings (and a few other basics) that we absolutely love. Guaranteed to be worn until they’re ready to be passed down to the next kids. If you’re looking for splurge-fabulous gifts, our friends at Ivory Row expanded their own line too, to include some really special clothes for young girls like these ballet-inspired cashmere shrugs. What’s particularly cool about this company is that they’re the only ones to offer high-quality cashmere direct to you, so you cut out the department store middle-man–and the 50-100% mark-up. This new clothing line out of Korea is ridiculously fun for both boys and girls, though the girls line seems to be a bit more rich. Ebabee are the kinds of clothes that make you smile–and commit to putting your kids in fewer jeans and t-shirts when there’s so much fashion fun to be had. Our new go-to line for soft (ooh, pima cotton! 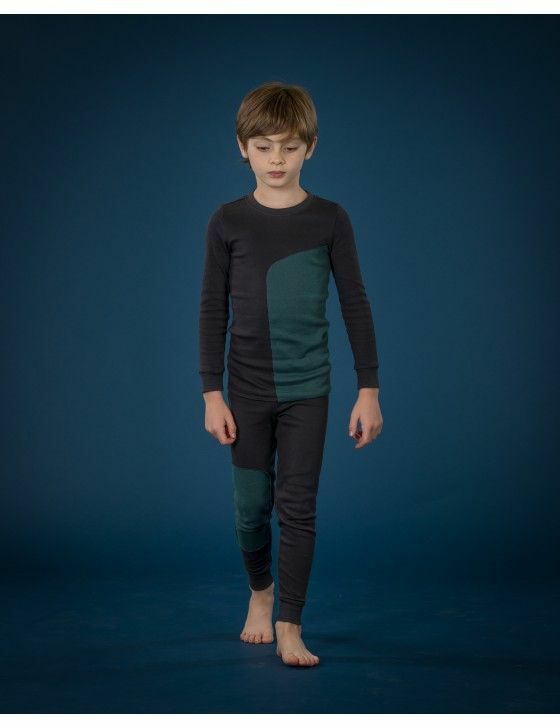 ), nicely fitting, organic pajamas for kids, Little Twig and Sparrow offers mercifully gender-neutral colors and styles. That’s a godsend to any parent with boys and girls who sometimes need to trade. And they’re designed to be handed down. Really great stuff. Not a new brand, but a brand that’s really becoming a contender in the boutique brand space, we were totally taken with the Appaman outerwear options this year for both boys and girls. 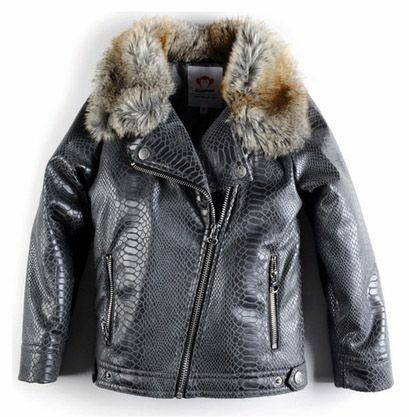 The pewter long puffer coat is just gorgeous, and the faux moto jackets were topping our own kids’ covet lists this year. 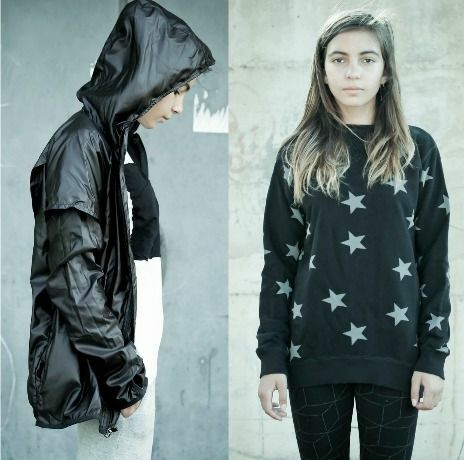 We’ve always been suckers for kids’ clothing that’s upcycled from gently worn adult clothing, and new label Kallio NYC is doing that beautifully. 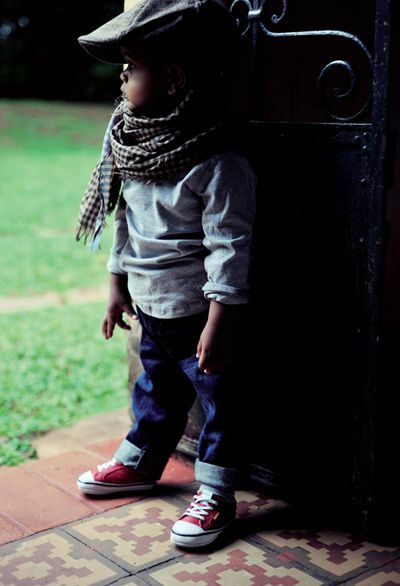 We love how classic tailored pieces become something really special for kids in the hands of their talented designers. Huge points to CMP favorite Tea, who continues to make awesome clothes each season inspired by a different country or culture. 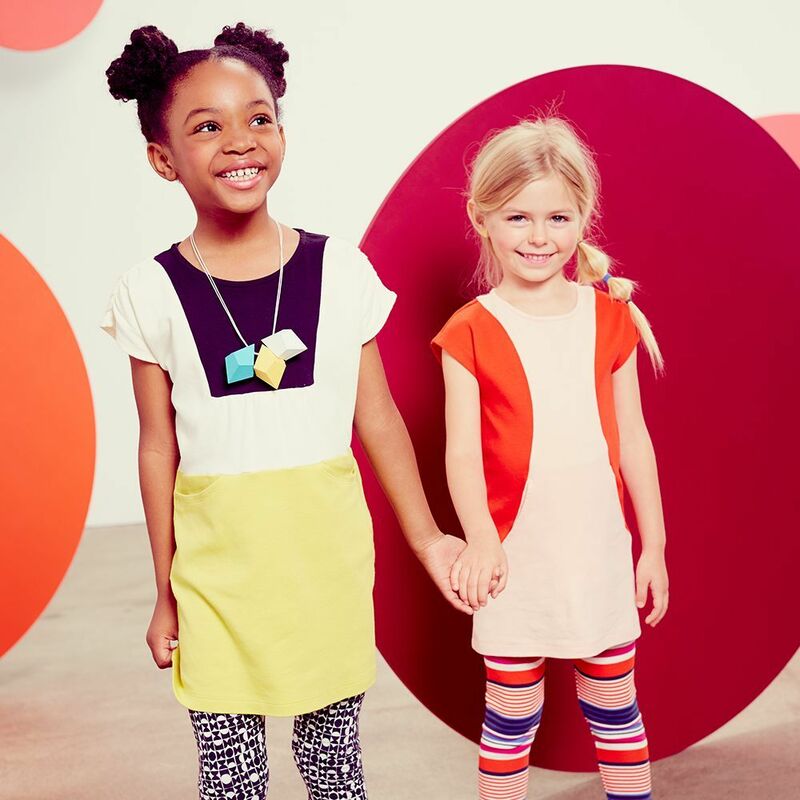 The Bauhaus line was a big hit with us, featuring colorblocking, timeless shapes, and absolutely funky patterned leggings that your kids will match with totally clashing tops and you won’t really care at all. 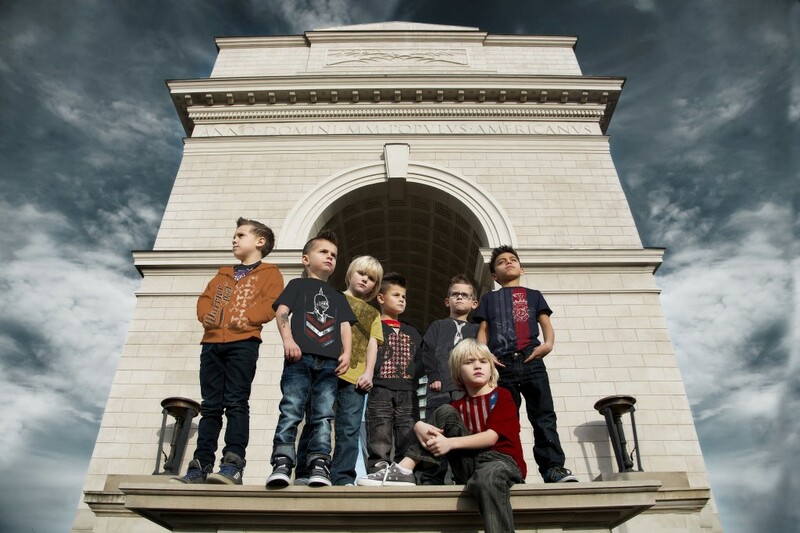 We have to give a nod to Warrior Poet, this new affordable boys clothing line designed by a dad of two. It features cool, rock-style tees and hoodies with messages of courage and our boys simply love them. We are so thrilled that fair-trade, organic Sapling Child is now offering their popular Australian line of kids clothes right here in the US. Not that we’d turn down a flight to Australia to check them out in person. Their gorgeous new line of soft, organic clothes just for infants and babies should be going up to size 5 soon and we can’t wait. So while it’s not a new line, it’s a line that’s new to those of us who don’t want to pay overseas shipping. Yay for that. 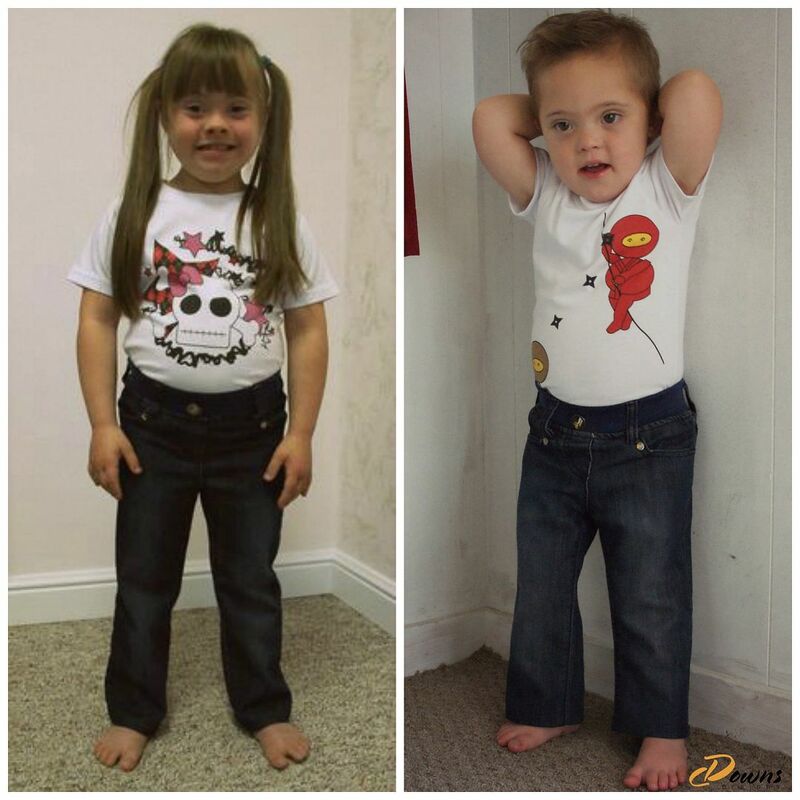 Made especially for kids with Down syndrome with attention to the shapes of their bodies and their need for soft clothes that eliminate sensory issues, we are cheering for grandma-founded Downs Designs. You can even order jeans not by age, but by hem size and hip size. For a lot of really special kids, this is a truly special new label. 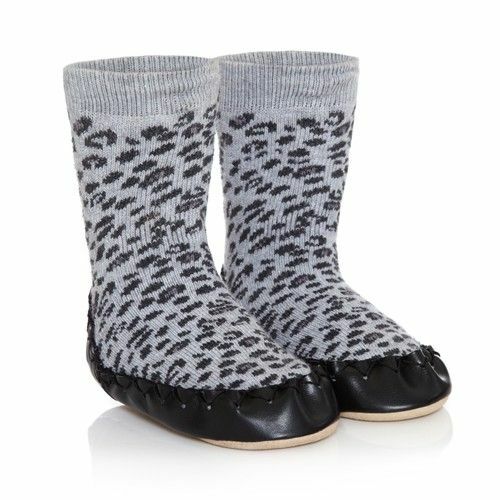 Our editor Liz was so taken with these traditional Swedish slipper socks, reinvented by Ace & Me to feature fun prints like snow leopard and argyles with skulls. They’re beautifully constructed, and the most stylish way to keep kids toasty on cold floors on winter mornings. 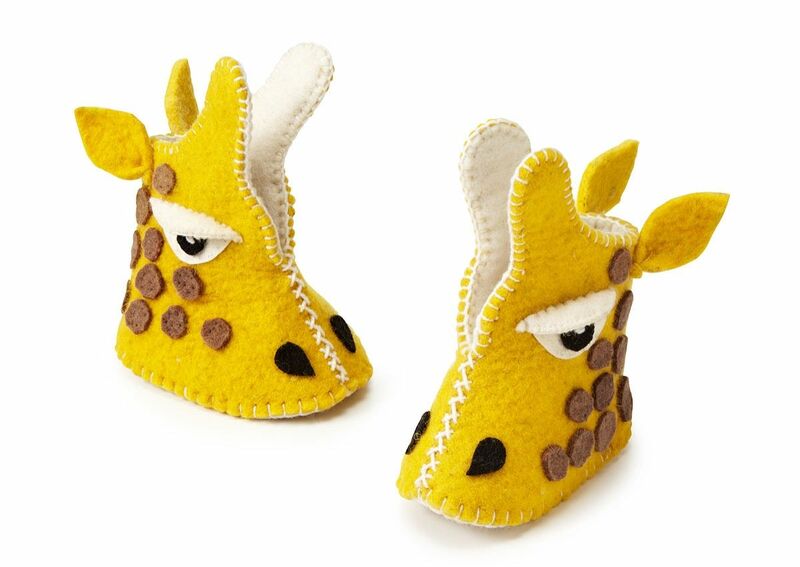 Also in the slipper department ( yes, we really love slippers) come Zooties Baby Booties which are not only shaped like super fun animals, they help provide medical assistance, education, and a living wage to the women in Kyrgyzstan, who hand-craft each pair of giraffes, koalas, parrots and moose from sheep wool. It’s not just that the selection of Friendly Rooster shoes for kids are adorable, we just adore their buy-one-donate-one mission which helps clad kids through charities like Room to Grow. You’re sure to find something you love for a boy or a girl, whether you dig sneakers, moccasins, or boots so great, we’d wear them ourselves. 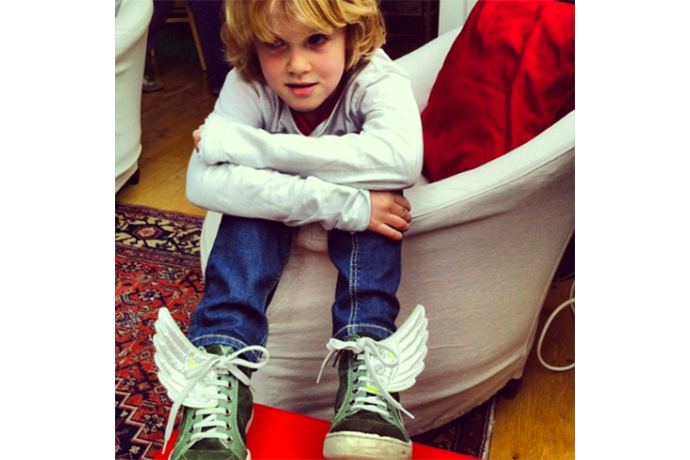 If our kids reactions to the Shwings in their Christmas stockings were any indication, these wings, moustaches, hearts and other accessories for your kids’ shoes are going to be huge. This family-run company even offers options that work on velcro shoes for kids who haven’t yet moved up to laces. 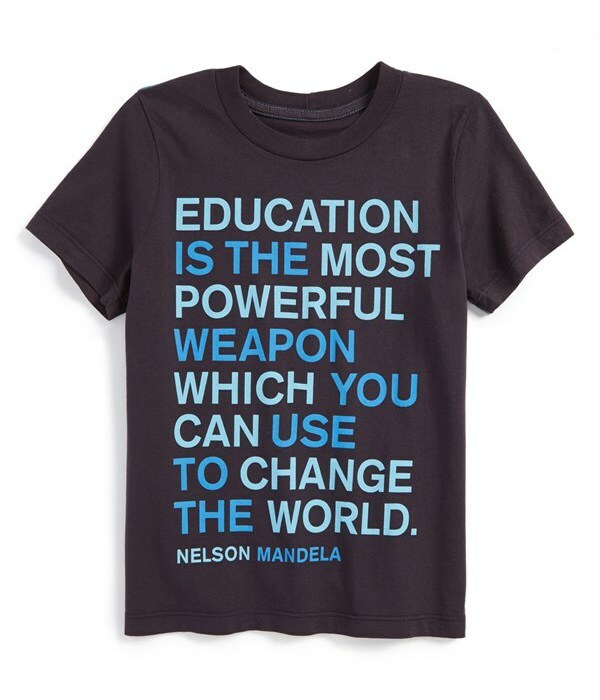 Big hat-tips here to big brands like Land’s End and J Crew, plus smaller but growing brands like Peek Kids (Mandela tee shown above) or Elemental T’s (robot tees, above) which are bucking the “math is haaaaard” slogan trend and instead offering cool tees for boys and girls that focus on smarts, achievement, positive messages, and lots of encouragement around STEM. Also, robots. Because we can never get enough robots. what a great article! exceptionally well-written and researched. Thanks for the mention. Hope to see you soon at the Kallio workSHOP in Williamsburg. where you can bring your own used shirt in and we will help you transform it into something new. There are so many options when it comes to cool kids clothes, but Nununu is definitely right up there!